This one is for Asylum Erotica (Dir Fernando Di Leo, 1971), which I’ll get around to reviewing some time soon. I like the artwork. Excuse the books holding the poster flat – this one’s for Fruits of Passion (Dir Shuji Terayama, 1981). I must admit when I saw this film for the first time I thought it was terrible, but I’ve seen it several times now as I’ve been working on writing it up and I’d say it has a lot to offer. It’s incredibly stylish and has beautiful cinematography. And you do get to see Klaus Kinski’s hot old man body in its full glory – believe me, it’s worth a look! Anyway, I must get that review finished. 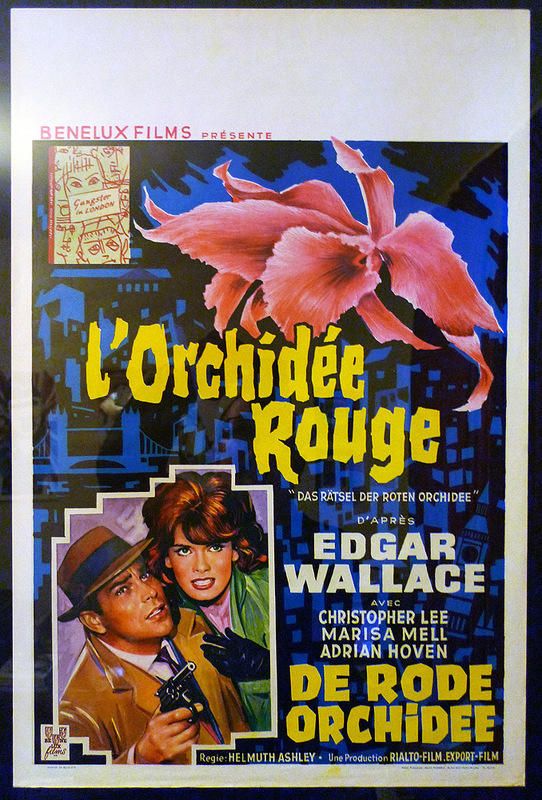 And, finally, this one’s for The Secret of the Red Orchid (Dir Helmut Ashley, 1962). Another one of the films I have on my ‘to review’ list. This entry was posted in Photos and tagged Asylum Erotica, Fernando Di Leo, Film Posters, Fruits of Passion, Helmut Ashley, Klaus Kinski, Shuji Terayama, The Secret of the Red Orchid. Bookmark the permalink.